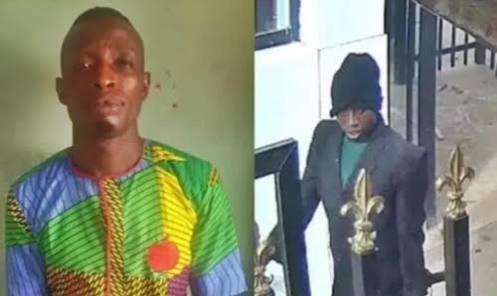 The Nigeria Police Force on Thursday said an armed robbery and murder suspect who died in custody “was not murdered, but slumped and died." 3. For avoidance of doubt, and to correct the insinuations and wrong impressions created by the statement from Mr. Yusuf Olaniyonu, Special Adviser (Media and Publicity) to the Senate President, Senator Bukola Saraki in the minds of members of the public over the indictment and involvement of the Senate President, Senator Bukola Saraki in the case of the Offa Bank Robbery of 5th April, 2018, from the confessions of the Five (5) gang leaders namely; Ayoade Akinnibosun, Ibukunle Ogunleye, Adeola Abraham, Salawudeen Azeez, Niyi Ogundiran arrested for direct involvement and active participation in the Offa Bank Robbery and the gruesome killing of THIRTY THREE (33) innocent persons, the Senate President, Senator Bukola Saraki was indicted by the Five (5) suspects who admitted in their confessional statements to the Police investigators that they were political thugs of the Senate President, Federal Republic of Nigeria, Sen. Bukola Saraki and the Executive Governor of Kwara State, Alh. Abdulfatah Ahmed. 4. 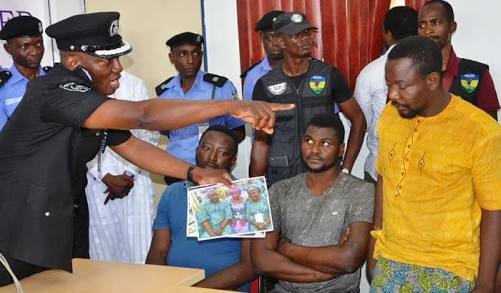 The Five (5) gang leaders further confessed during investigation that they are political thugs under the name Youth Liberation Movement a.k.a “Good Boys” they also admitted and confessed to have been sponsored with firearms, money and operational vehicles.